Bathed in a glow of neon, the waves of the streets around you mirrored on the darkened pavement. Dancing between the streams of headlights and taillights, riders clothe themselves in the cool winds of a sunless night. A completely different beast, night riding is a breath of fresh air in comparison to riding during the day, sometimes for the better, and sometimes not. When the sun quits beating down on the roads around you the setting changes from an everyday motorcade, to an absolute wonderland. It’s like a Led Zeppelin laser-show but astride hundreds of CC’s, and you’re sort of in control. But rather than set aside all this text real estate for deliberately poetic anecdotes about the joys and wonder of night riding, we’re about to dive into all the things you truly need to know about it. IT’S ON YOU to be prepared and as visible as you can be. 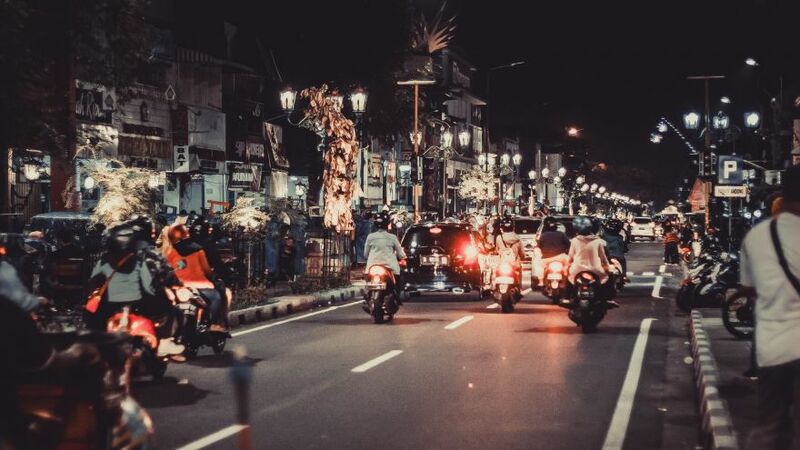 One thing you might not know is that you might not actually be legally allowed to ride at night. Depending on where you live, and who issued you your license, plenty of regions have learner’s restrictions. 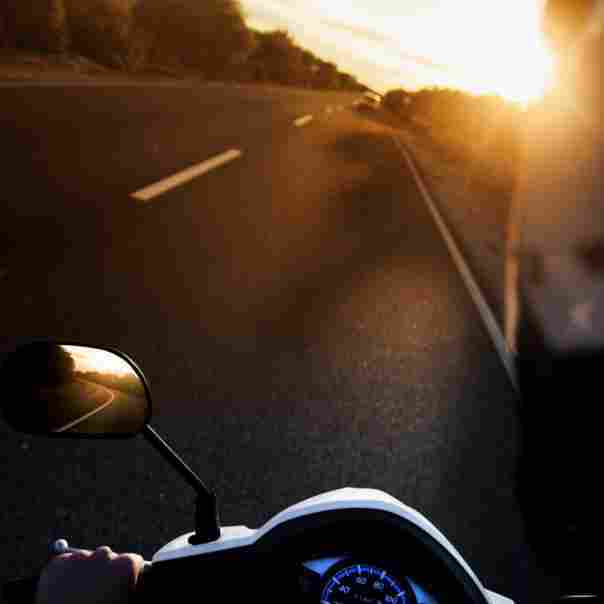 With those restrictions often come a sun-up to sun-down rule where riders using a learner’s license are not allowed to be out on the road after dusk. It might seem unfair at first, but if you were paying attention to the part of this story in which I waxed poetically, riding at night is a completely different thing, and those granting you a license will often hesitate (rightfully so) to allow those still learning to embark on a more difficult challenge. Considering all variables change once the giant ball of flaming star in the sky sinks beyond the horizon, it is best you temper your desire to conquer it until you’re the most comfortable you can be during the daytime. Check your temporary or permanent license card and make extremely careful note of your restrictions. 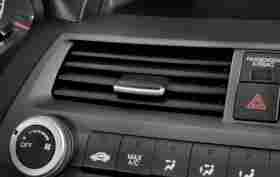 If you’ve got yourself a learner’s license, there may be restrictions to the time of day on your license. Roads will change between dusk and dawn, and there are plenty of adaptions that every road user has to make, let alone those on two-wheels. What is easily simplified as a dual-receptor based vision—the actual scientific breakdown of how humans see is far more complicated than the absolutely juvenile over-simplification that I’m about to give it—according to the evolution of our species, we have only just recently begun using vision at night. Always a species of night-hunters and foragers, we evolved our vision to see best during the day, and we’re supposed to be sleeping or recovering during the night. Your basic vision for a healthy eye can be broken down into two different types of receptors. Cones, which have a one to one ratio of nerves. Rods, which use a banded-together workforce to light up nerves do not have enough photoreceptors to produce a signal to the brain (hence the band of brothers approach to receiving visual information). Unfortunately for us, night vision (due to the lack of light) is almost all in the court of our rod receptors. While this might grant us some variation of night-vision, on average it isn’t that great. Especially when compared to most other animals. It’s easy (from our own perspectives) to tell if you’re using your cone receptors or your rods, the cones are the only receptor that sees color. Which is why, if you’re wandering around at night, most things that aren’t producing light, looks greyish or black. And why that which is producing light (like streetlights or houses) looks bright and in more stark contrast to the grey tones around them. But in order to see light, and color more clearly, these cone receptors must live in a central-ish location within your retina. 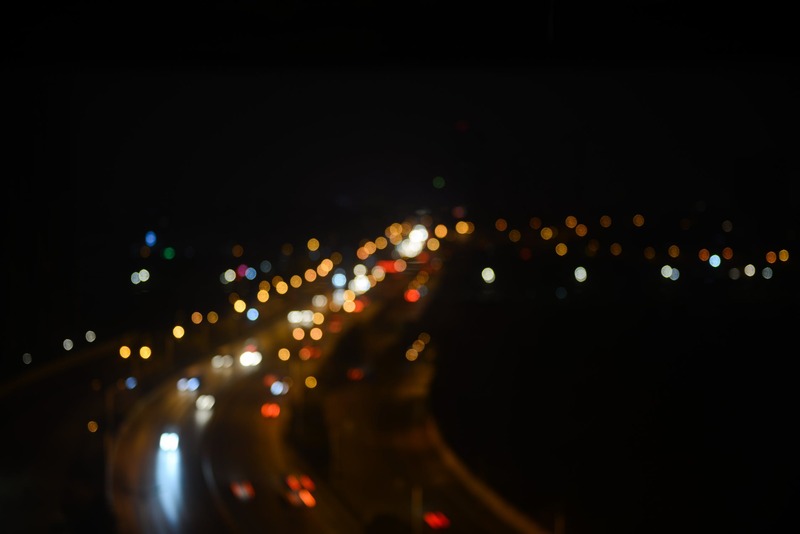 In contrast, the rods in your retina can pretty much live anywhere, which is why you have a keener ability to spot movement in your peripheral vision during the night. 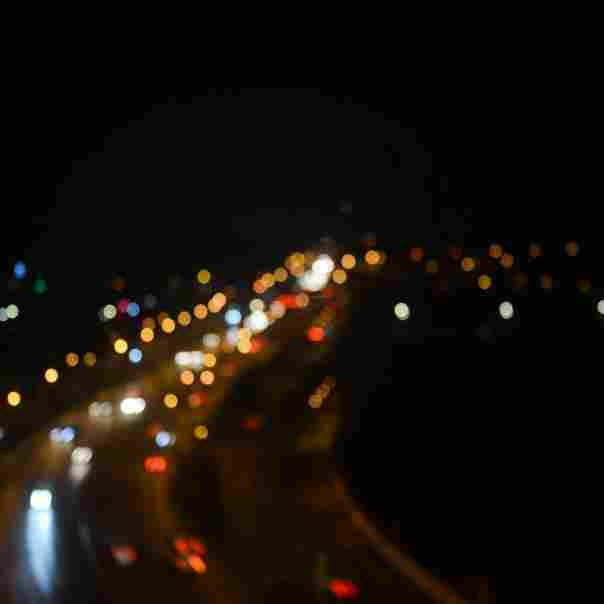 Truly it’s an odd construct of science that gives us vision, but why it directly affects your ability to see at night is specifically because your eyes are putting a bunch of little pieces of sight together, to form a whole picture. If you’re moving down the road at any notable speed, this could mean that the time it takes your eyes to realize that stationary lamp post is actually a pedestrian about to step out onto the road is drastically reduced. Without harping too much on the effects of the night on your vision, seriously note that there are major limitations to your vision after dusk. In fact, the “golden hour” as day turns into night, is the most dangerous of them all because your eyes are transitioning from one incoming light environment to another. Copper or amber lenses are one thing commonly used these days. Whether it be in glasses, goggles or even amber helmet visors, it is used to trick the eye into seeing a brighter surrounding. Amber, yellow, orange, or copper (there’s a multitude of shades) also help with eye strain. Professionals that sit at computers all day use them (I’m wearing a pair as I write this), along with golfers, hunters, and other athletes. Most helmets come standard with a clear visor and that is for a reason. Impeding your vision by an extra amount is a fool’s action, and you should avoid it at all costs. There are three solutions to this, one not-so-easy and two that are simple. 1. Carry a clear visor with you. If it’s absolutely essential that you look as cool as possible during the day with your mirrored or tinted visor, then carry a replacement. Many helmet manufacturers make “easy swapping” visors, and many motor-clothes makers even stitch in spare visor pockets into some of their coats. 2. Wear sunglasses or tinted goggles under your helmet in order to protect your eyes from the brightness of the day, then simply take the glasses off once the sun goes down. 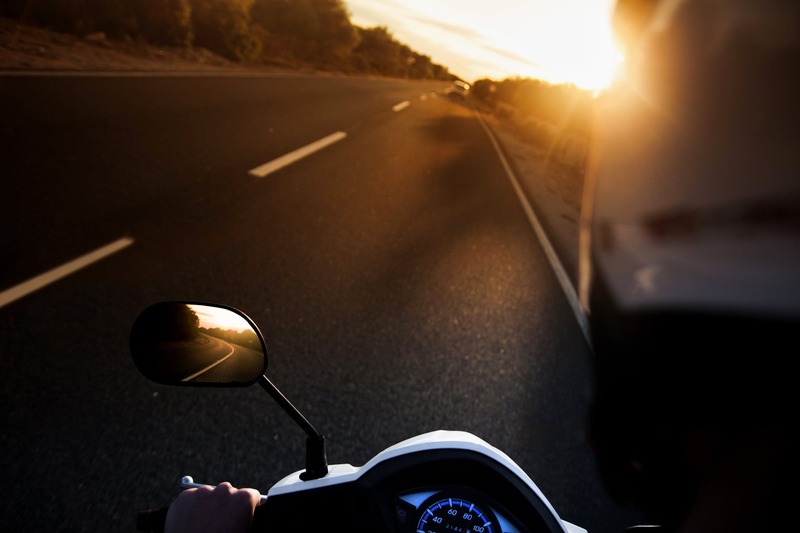 Alternatively, if again the cool persona during the day is key for your riding pleasure, wear clear glasses or goggles under your tinted visor. Once the sun goes down, you’ll be able to lift your difficult to see-through shield and still keep the wind out of your eyes with the glasses. 3. Switch everything to amber tints. Along with its ability to fake a brighter atmosphere during the darker hours, it also doesn’t affect anything negatively during the day. Meaning that you can easily use the same tint (on the visor, or glasses, or goggles) for all times of the day and not have to worry about switching them out or what you’re wearing. Because you’ll never know pure soul-crushing agony like you will when you have to stop on the side of the road mid-ride because the sun went down and your “dope” visor is now an obstruction of vision rather than a construction of your social status. In addition to the gear that you put on or around your face to help with the strain of night-vision, you can keep other things at a minimum to refrain from forcing your eyes to do the things they don’t want to do. Try and—in the safest way possible—keep any of the screens you look at as dim as you can handle, and avoid looking directly into headlights, or other bright sources of light. These things, when coupled with the generally dark surrounding, cause your eyes to shift from one exposure of light to another. Imagine that feeling you have when you walk out of a matinee movie (because your friends didn’t want to go with you and you couldn’t picture a circumstance where it was socially acceptable to attend a film screening during peak hours all alone) and it’s still sunny outside. There’s a moment of pain, before complete distortion of eye-sight, followed by a recalibration that can vary in time. Now imagine that same sensation, but you’re surrounded by moving vehicles that can do extremely varying amounts of bodily harm to you. Just don’t do it. Plenty of gear manufacturers make it a point to put reflective surfaces on a lot of their riding gear. ECE, the helmet safety certification group even regards reflective elements of helmets to be key in their grading system. But you’re not always going to want to wear those things. So, go to a running or athletic shop, and pick up night-time armbands. Slap those around your toned biceps when you’re puttering about, and you’ll stick out a bit more. You can also feed that need to be the most fly out of all your pals, you should serve up a deliciously expensive buffet of underglow. Kits range in price, but you can get into the “look how bright and flashy my bike is” game fairly cheap, but you could easily sink a ton of money into lighting up your bike life. Much like the reflective surfaces, you gain visibility by others. The shinier and brighter you and your ride are, the more likely others will see you. There are helmet companies out there that send you kits to add strips of light to your own helmet. You can customize the design any way you want. So if night riding is something you feel drawn to, this might be something you want to consider. Lastly, ask yourself this simple question; who are you sharing the road with? If we start with the highways and the trails, you’ve got one scary thing just waiting to pop out at you during the night. If you’re on the backroads, keep your peripherals sharp, because the animals that live near these roads have become accustomed to the idea that humans aren’t driving much during the night, and will be more mobile. In the city, you’re riding around with a mix of people who are going home from work, or who have been out at night. Granted, this is a gross generalization for the sake of more easily digestible information. There will obviously be people just starting their day, or in the middle of their day. But it’s safe to assume that most people partaking in the joyous act of commuting are of the former two groups. Those leaving work could be tired, and could have potentially had a bad day. Their focus might be lacking due to distraction. The other group are the ones that might have been out at dinner, or had a few drinks. Even though it’s highly illegal, we’re unfortunately still left to deal with inebriated drivers, and it’s keen to note the time of day when considering who you’re sharing your road with. It is key to your safety, and the safety of those around you, that no matter which time of day you decide to kick-start your adventure on a saddle that you prepare to be as obvious, and as visible as you can be. 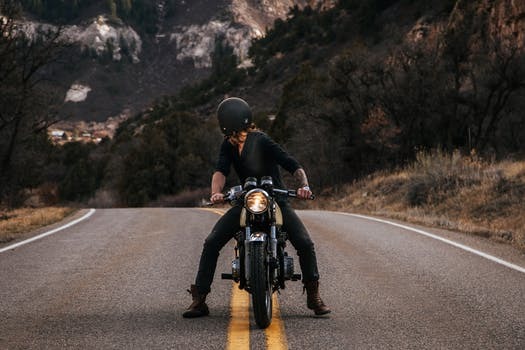 Like many things in life, and in motorcycle riding, the more time and thought you put into your ride prior to heading off, the better off we’ll all be. 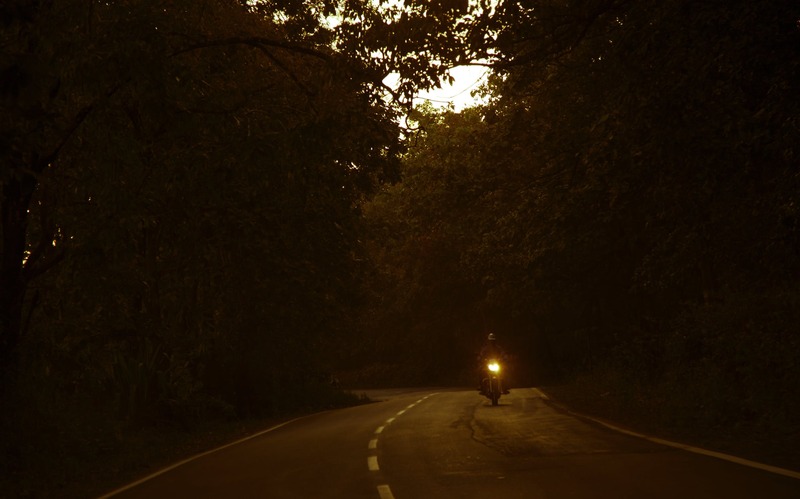 In conclusion, night riding is a symphony of great feelings that is unrivaled in the world of motorcycle experiences. It is something you should enjoy. Now get out there. Ride free, and ride safe.